On Dec. 16, Pakistan will observe the first anniversary of the massacre at an army public school in Peshawar that left over 140 people dead, most of them schoolchildren. Mullah Fazlullah, the chief of the near-defunctTehrik-e-Taliban Pakistan (TTP), claimed responsibility for the attack. While four of the militants who carried out the attack were captured and executed, Pakistani officials say that Fazlullah remains in hiding across the border in Afghanistan’s eastern Nuristan province. 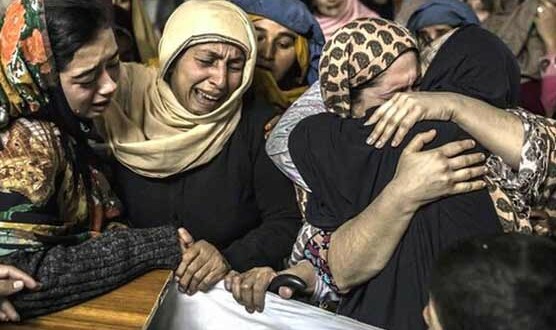 The failure to find justice after the school massacre highlights key questions about Pakistan’s war on terrorism, which has claimed over 50,000 lives. In Pakistan and abroad, security officials believed that the Dec. 16 attack would force Pakistan to change its policy on militants. With each new violent attack on civilians, it becomes harder for Pakistan to justify selectively cracking down on jihadists, prioritizing those it views as a threat to its domestic politics, and protecting those with whom it shares common enemies. A year later, no perceptible change can be seen, other than a crackdown against the TTP in tribal areas and a few targeted operations against sectarian groups in Punjab. The Pakistani government has failed to limit the reach of the Haqqani Network, the Afghan Taliban, and Jamat-ud-Dawa. Whether it lacks the will or the capability to do so is unclear. Afghanistan claims that Pakistan does not intend to meaningfully secure its borders, a move that would disrupt the militant safe-havens along the Af-Pak border. The Afghan Taliban are said to have held open court in the Pakistani city of Quetta to appoint the successor of reclusive leader Mullah Muhammad Omar after the announcement of his death in July 2015. In November 2015, a U.S. drone strike in northeastern Afghanistan killed 21 members of a banned jihadist outfit. Their bodies, wrapped in flags of the al-Badr militant group, were brought across the border to Pakistan’s mountainous Dir district. Pakistani mourners offered funeral prayers for the militants the same day army chief General Raheel Sharif concluded his weeklong visit to the United States, promoting Pakistan’s narrative of being tough on terrorism. Former Pakistani senator Afrasiab Khattak told a Pashto language radio station that the government must publicly identify those fighters killed in Afghanistan and reveal who sent them to fight there. Lamenting the double standards in Pakistan policies regarding extremists, Khattak claimed that banned terrorist outfits continue to operate openly in Pakistan. Legal reforms and military operations can only curb terrorism and extremism if the government shows real commitment to its enforcement. The National Action Plan (NAP), unanimously approved by all Pakistani political parties after the army school attack, states that militant groups will not be allowed to operate in Pakistan. Yet events in the last year suggest this law is not being adequately enforced. Additionally, since the June 2014 launch of Operation Zarb-e-Azb, a military operation targeting terrorists in North Waziristan, Pakistan’s military and civilian officials claim to be cracking down indiscriminately against militants and jihadi groups. However, interviews conducted in Pakistan’s tribal areas suggest that only the TTP and anti-Pakistan armed groups were targeted, while those groups focused on Afghanistan have been spared. For years, Afghanistan has accused Pakistan of supporting the Taliban and members of the Haqqani Network who carry out attacks inside Afghanistan, which Pakistan ardently denies. Amidst these tensions, Afghan President Ashraf Ghani paid a three-day visit to Islamabad in November 2014, just a month after winning the presidency, to meet with civilian leaders and General Sharif. But the good will that Ghani’s visit generated ended with a familiar deadlock, when Kabul suffered several Taliban attacks in August. The Taliban’s strength is blamed, in part, on Pakistan’s security failures. This weakened President Ghani’s position with his opponents in Kabul, who hadwarned against investing too much trust in Pakistan. Had some degree of peace returned to Afghanistan after Ghani’s visit, he could have positioned his administration to take bold steps towards renewing his relationship with Pakistan. The instability of war between two neighboring countries usually benefits the non-state actors and militant groups on both sides of the border, as exemplified by the decades-long Af-Pak conflict. For example, the man responsible for the massacre of schoolchildren in Peshawar, Mullah Fazlullah, would likely not be at-large if the two neighbors could agree on a joint strategy to target militants. The emergence of ISIS and its growing influence over several Afghan districts in recent months should serve as a wakeup call for Pakistan as well as Afghanistan, because most of the known leaders and members of IS are being recruited from the Pakistani Taliban. With the Afghan Taliban enjoying sanctuaries on the Pakistani side of the border, the Afghan and Pakistani government alike should be wary that ISIS may spread its tentacles into unstable border regions and into the heart of Pakistan itself. In fighting IS, Pakistan should apply the lessons it learned from its fight against the Tehrik-e-Taliban Pakistan. Following several ruthless ground offensives and air strikes, the Pakistani military has almost wiped out the once-dreaded TTP. Yet the group’s renewed presence across the border in Afghanistan could provide a staging ground for a comeback if Pakistan withdraws troops from its tribal territory near the border. Asfandyar Wali Khan, chief of the Pakistani nationalist Awami National Party, was part of a three-member Pakistani delegation that visited Kabulduring the last week of November to persuade Afghan President Ghani to restart the stalled peace process with Pakistan. Stressing the importance of a shared security strategy, Khan warned, “I can predict a situation more serious than Syria if the two countries [Afghanistan and Pakistan] fail to start the [peace] process until April 2016.” If Afghanistan and Pakistan cannot cooperate with one another, they will both continue suffering from the scourge of terrorism. To honor the upcoming anniversary of the Peshawar army school massacre, Afghanistan and Pakistan must strengthen their relationship and move together towards a more secure future.